Today’s our last day of the 12 Days of Holiday posts! 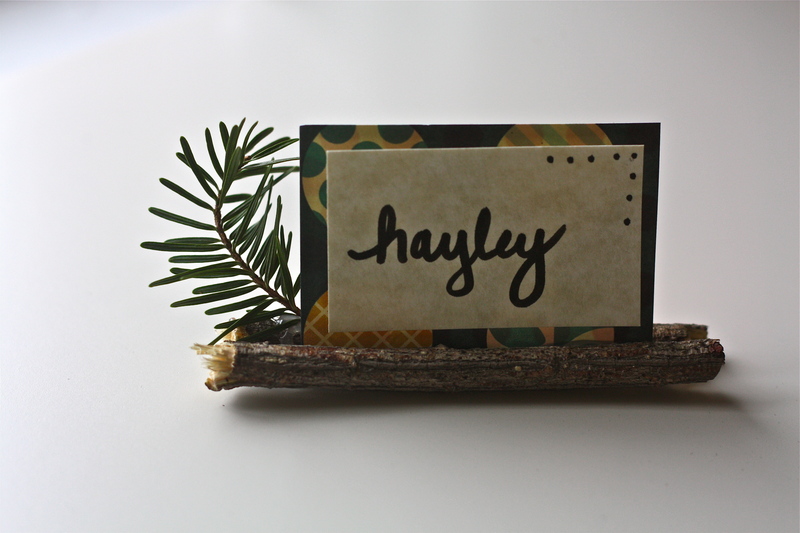 I was going to post a table setting, and then I thought a centerpiece, but I decided on a fun place card project. It’s one that’s appropriate for any holiday and really any time throughout the winter. I found the inspiration for it on Pinterest. 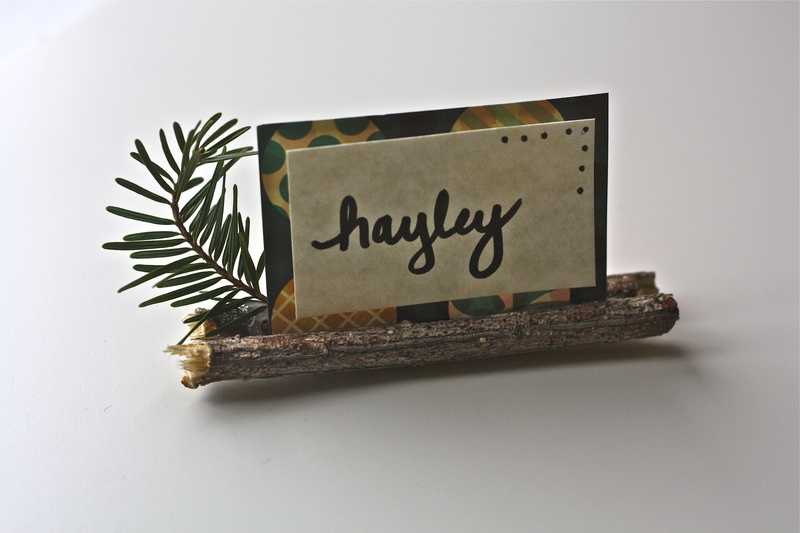 A long branch (or two small ones), some card stock, a sharpie, hot glue gun and one little pine branch. You can go ahead and cut or break the stick into two pieces, whatever size you fancy, but the same size. Mine were about four inches long. 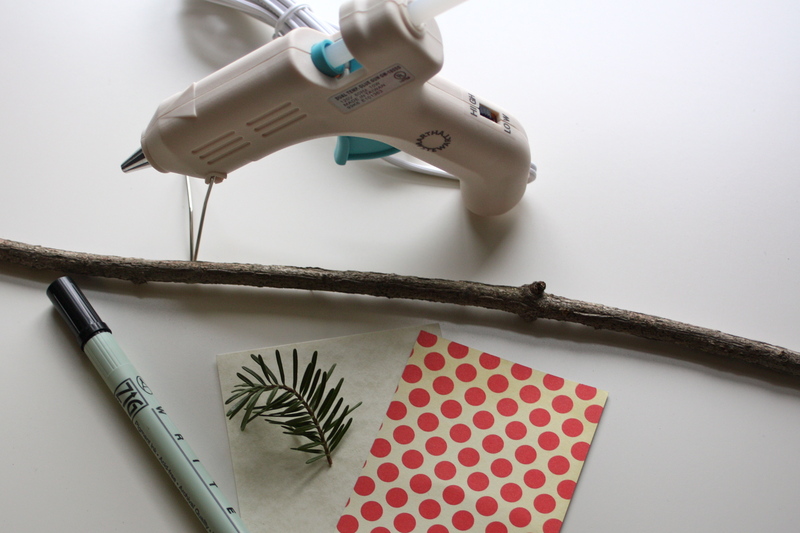 Cut your card stock to fit. Layer them up or keep it simple with one solid color. I decided to layer two pieces. So easy and so cute. 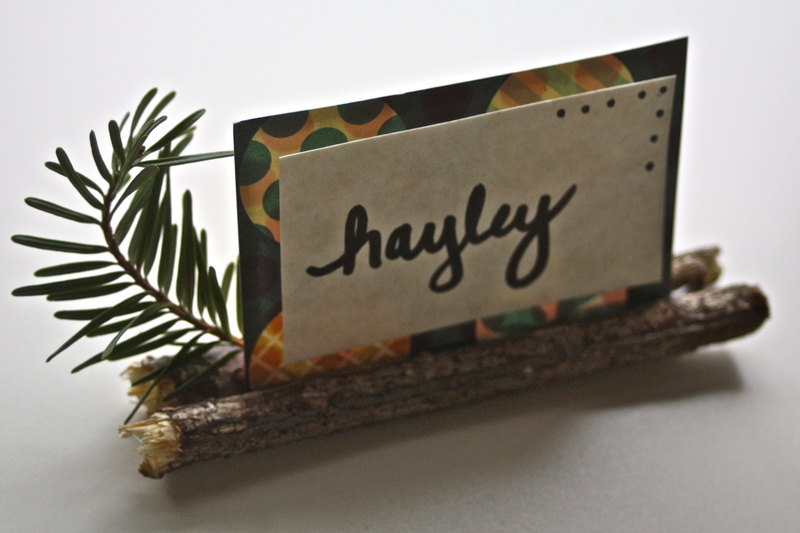 This would also be a great project for wedding seating cards for a rustic-y wedding. I wanted to use some sort of red paper behind the white one with the name but I didn’t have any. I thought the red would be more Christmas themed, but I love it this way too. This took me all of about four minutes to make. That wraps up our 12 days of Holiday posts! I hope you guys enjoyed them and found some inspiration for the season. I wish you all a very Merry Christmas and time to enjoy, refresh and relax with family and friends. Cheers!